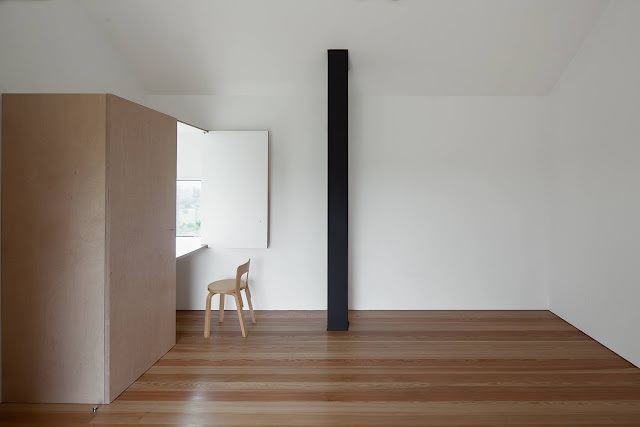 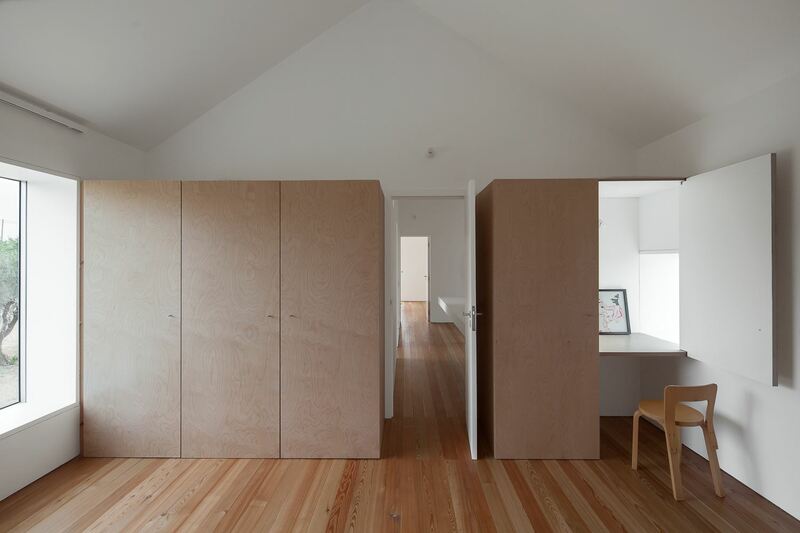 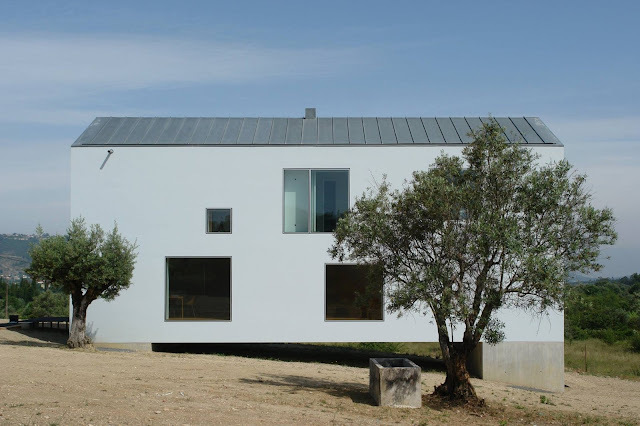 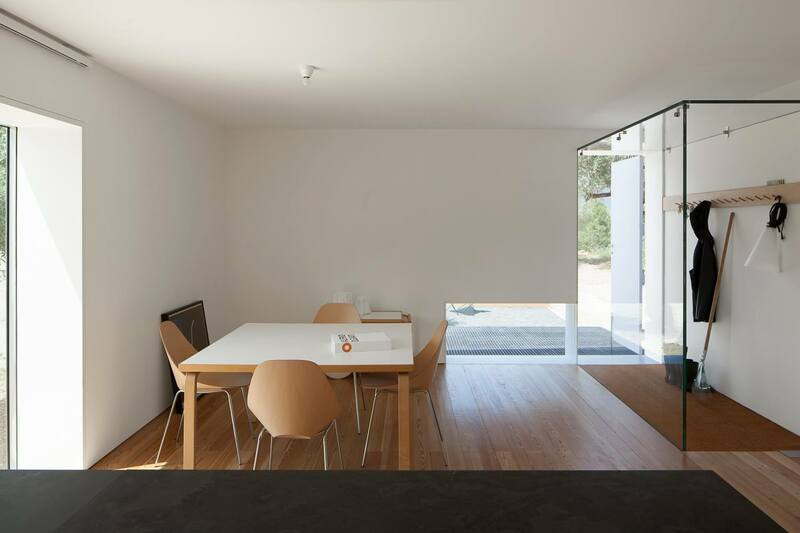 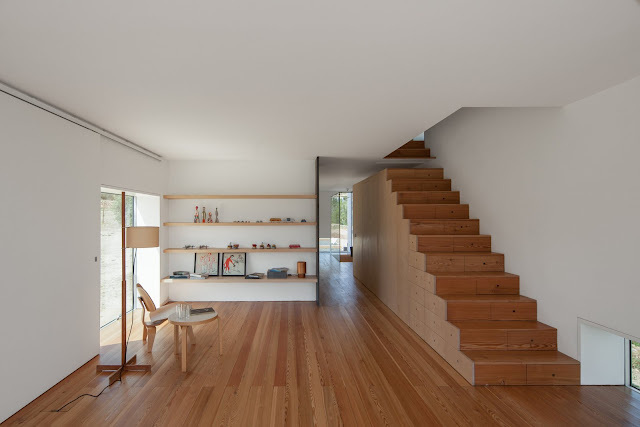 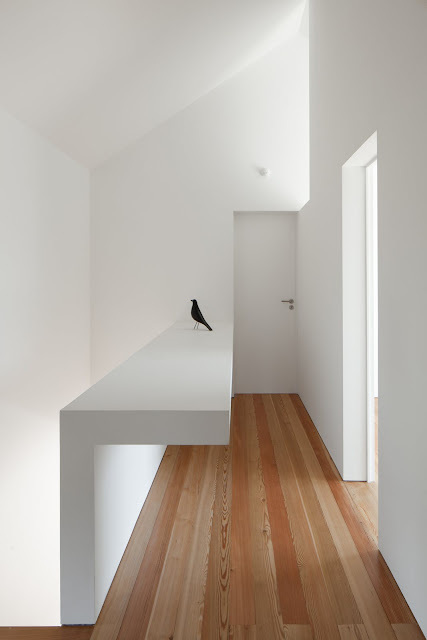 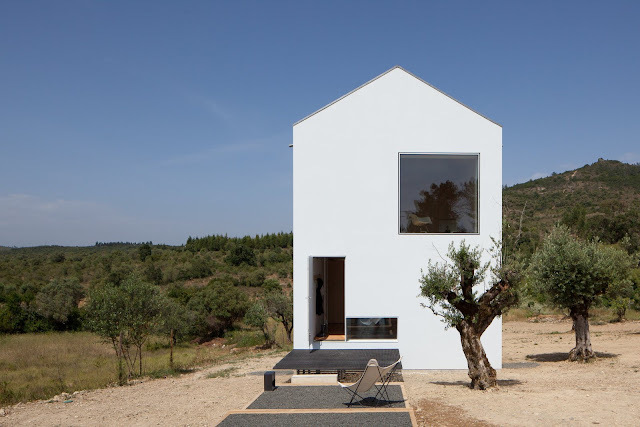 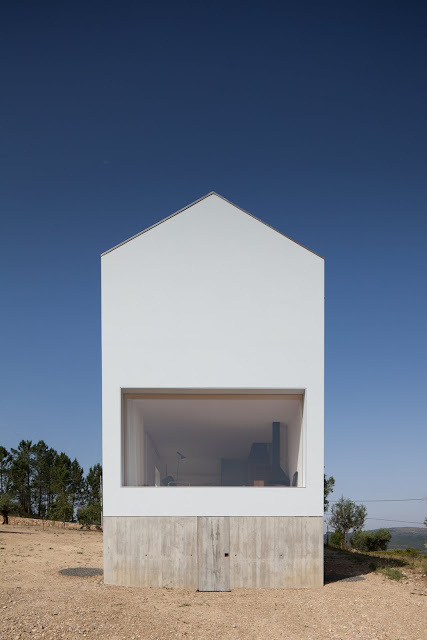 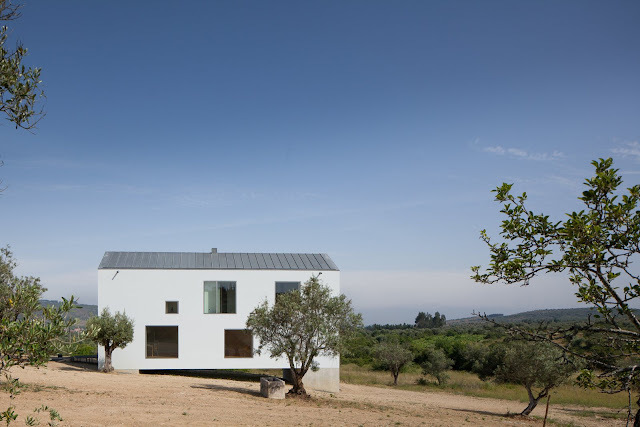 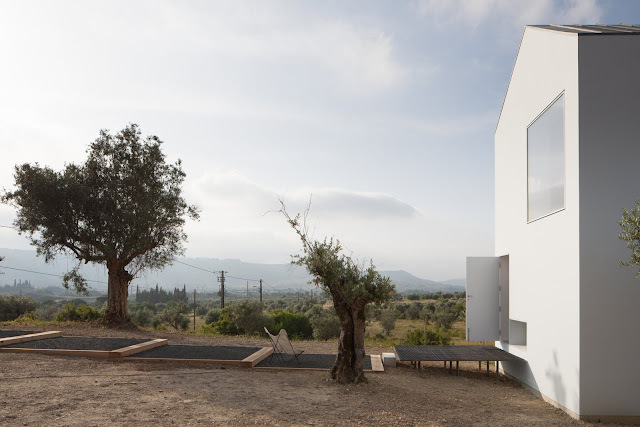 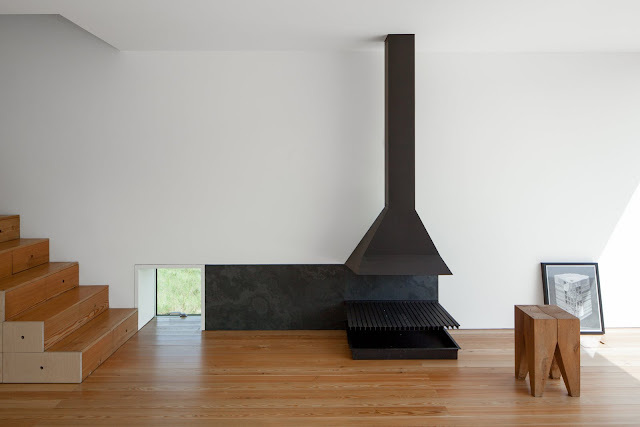 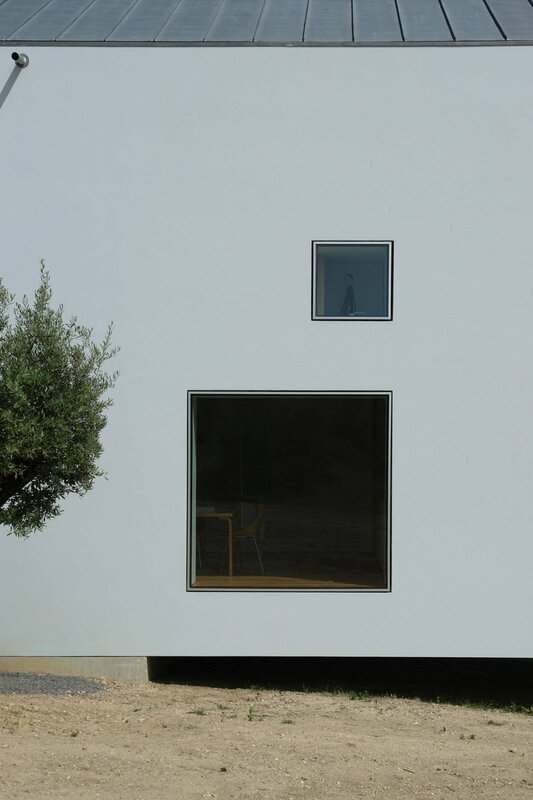 Fonte Boa House is a minimalist rural house in central Portugal designed by architect João Mendes Ribeiro. 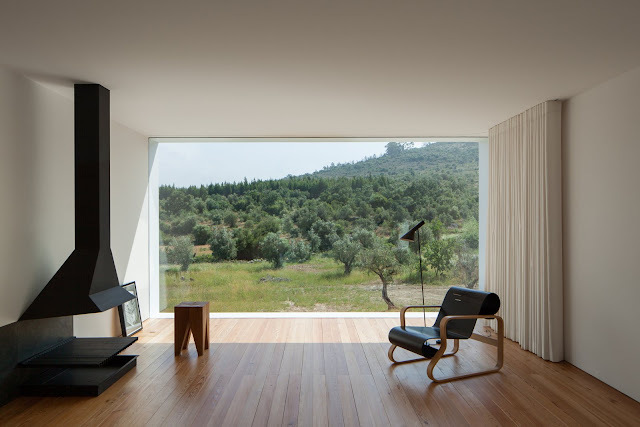 “The Fonte Boa House is a single family house designed in a rural estate in Fartosa, Fonte Boa, in the centre of Portugal. The house is located in the west side of the estate, protected from the main road, taking advantage of the best sun exposure, the surrounding trees and the views over the valley. 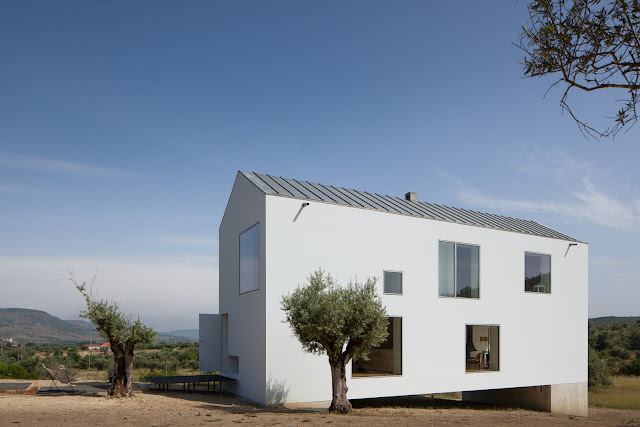 The accurate position of the house was set so that there wouldn't be major changes in the terrain, maintaining the existing slope and preserving all the existing trees. 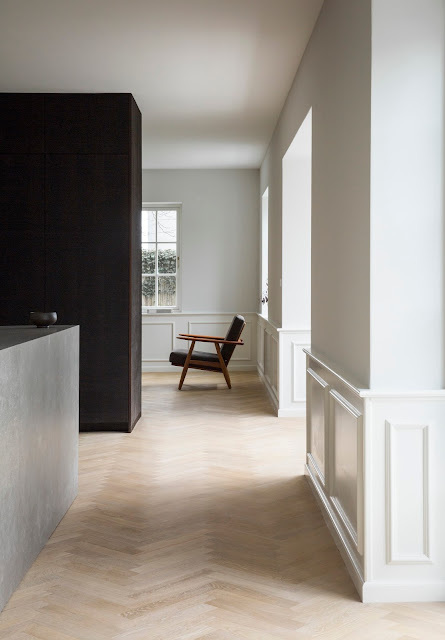 Reinterpreting the traditional single family housing typology, the house is a two storey rectangular volume with a zinc pitched roof, whose volume detaches itself from the slope with a concrete basement (occupied by a small wine cellar). From the street, the entrance is made through an opening in the stonewall that limits the south part of the site. 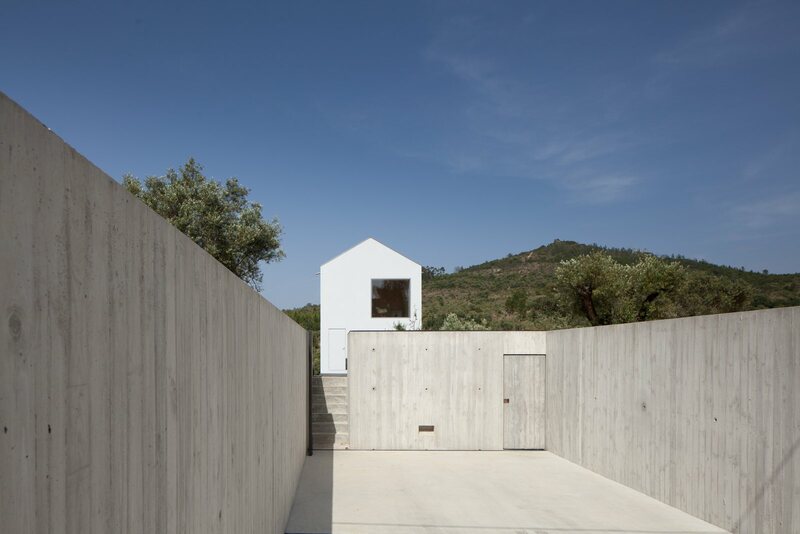 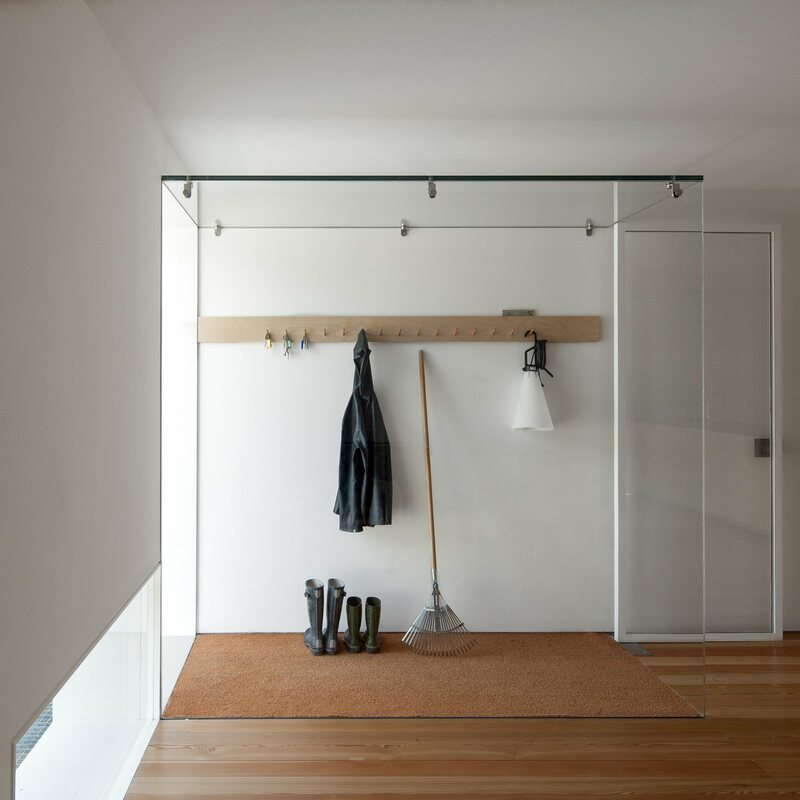 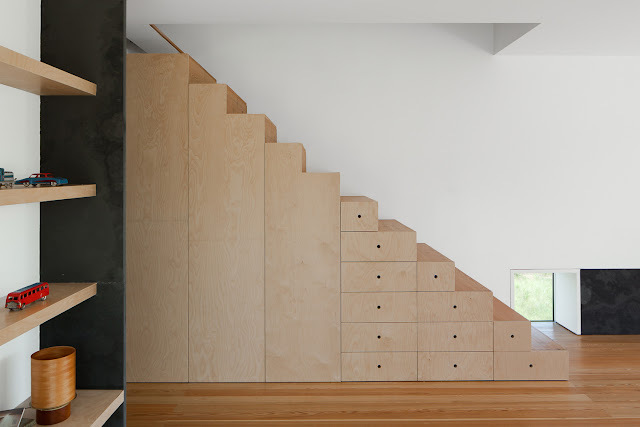 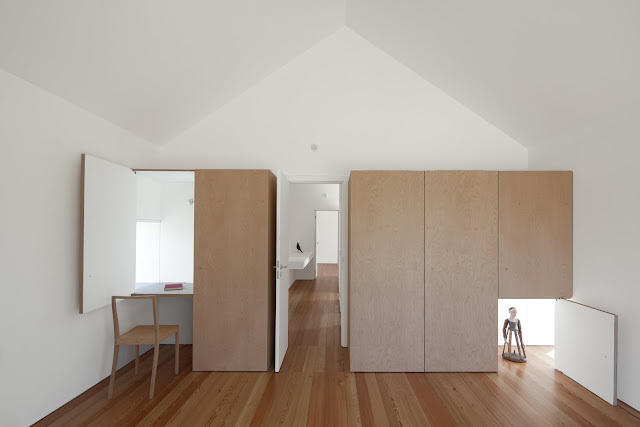 The open garage, built below the terrain level, is enclosed by concrete walls, by the semi-underground concrete box that hosts the laundry room, and by the stairs that lead to the upper level where the house is located.